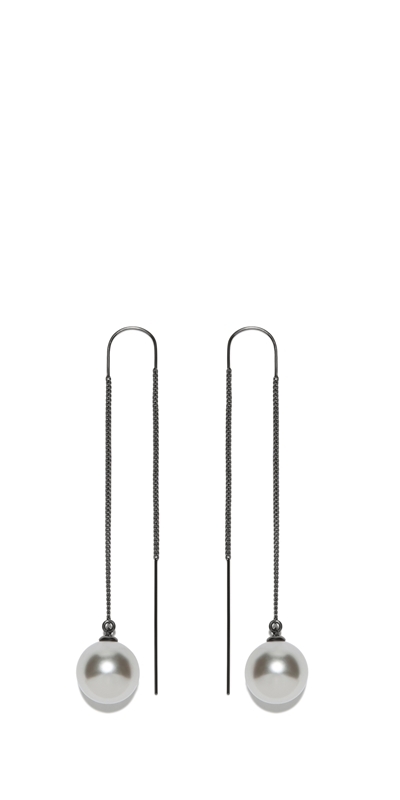 These drop earrings feature a fine thread-through chain with a curved metal post that sits comfortably in the ear. Finished with a large grey pearl. Hardware: Polished Gunmetal with Glass pearls. Clean gently with a soft cloth. Avoid the use of detergents, ammonia, alcohol or jewellery cleaners. Avoid contact with perfume, hairspray and make-up. Store pieces in the packaging provided in a dry place.